Beit Ben Yehuda is a small guesthouse in Jerusalem’s Talpiyot neighborhood that offers quiet, comfortable and affordable accommodation to guests from around the world. Catering to individual travelers, families and groups alike, the staff is friendly and helpful, and the property is equipped with standard guesthouse amenities. Located on the quiet Ein Gedi Street, Beit Ben Yehuda is just a few minutes by foot from the main street of Derech Hebron, where you can find plenty of public transportation that can take you to the Old City and downtown Jerusalem in about 10 minutes. We rented out the entire facility for our Study Abroad group from January through March. 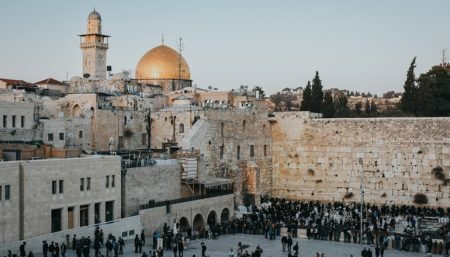 It is the perfect location for students to engage with Jerusalem. The facility is clean and well kept and the staff is incredibly kind and accommodating. We always love our stay at Beit Ben Yehuda. We've stayed at Beit Ben Yehuda on several recent visits to Jerusalem and highly recommend it. The staff are friendly and helpful, the rooms are clean and it's located in the Talpiot neighborhood making it a short cab ride to much of the city. Nothing fancy but if your goal is to be out and about most of your time there it's a great find. The place is really nice, its near the old city (40 min walk) near a supermarket and bus station, Its clean and for some reason you feel at home. The staff are really helpful and nice. The morning breakfast is really good for the price.